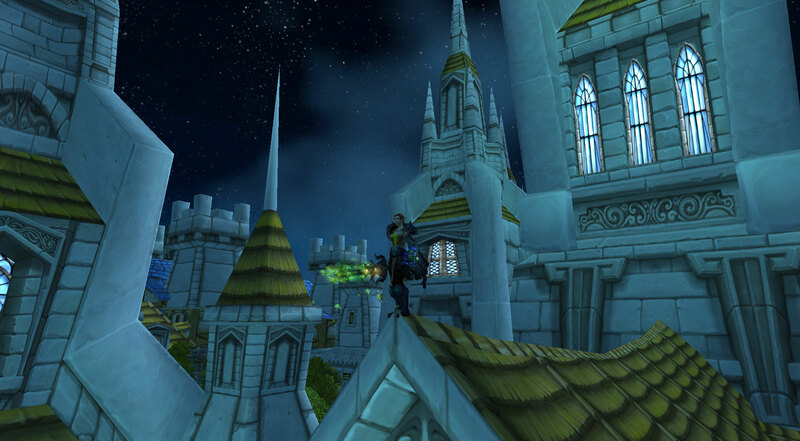 Tonight, I couldn’t stop laughing for easily 5min after some crazy shenanigans some guildies and I pulled in a heroic. It was something I normally don’t do, and I’m not sure if that added to the absurdity of the situation somehow, but here’s the story: I was approached by a fellow guildie named Ang who wanted to do a heroic Halls of Origination run for a healing trinket off of Isiset. I agreed to help, since he switched to healing on his druid for our raids (he was previously my fellow tank). 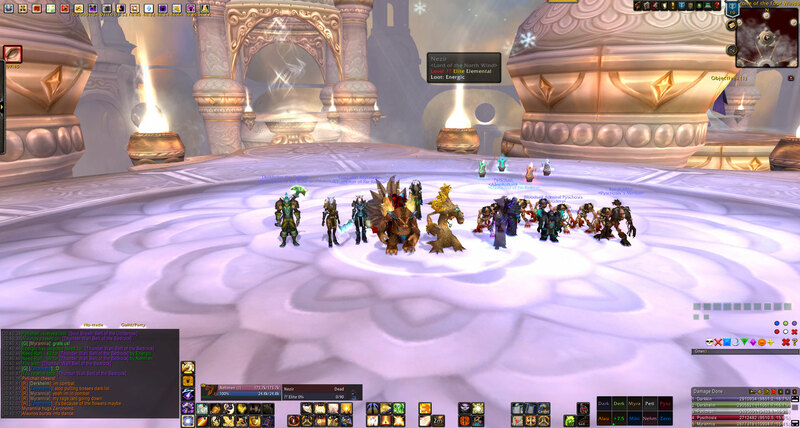 We grabbed two folks from the guild and queued up for the dungeon. Right from the first pull, we noticed that something was off with our pugged member. It was a rogue who was doing low dps, didn’t talk at all, and kept managing to take damage from odd sources. But Ang told me to just keep pulling and that he’d handle anything, so we could make this a quick run. Hope you enjoyed the story! … Oh, a raid update? Gosh, I guess it has been awhile o_O. Well! As of right now, Far Riders is 8/12 overall after downing Conclave on our first try on Monday night. 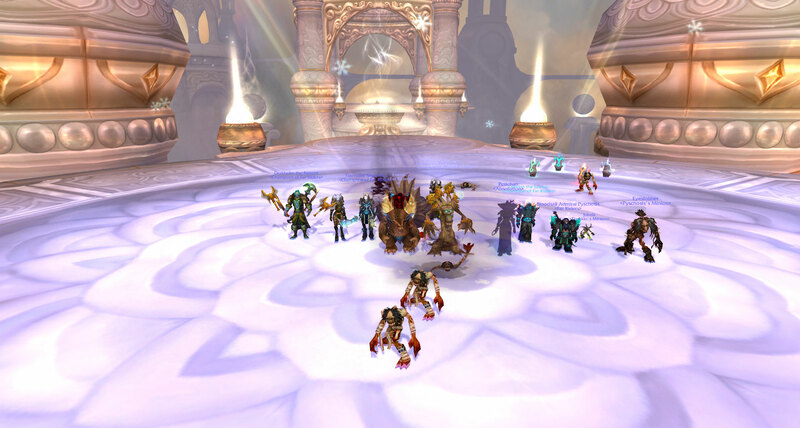 We decided to try a Monday night two hour raiding block to get extra time to work on Throne of the Four Winds, and despite having to pug two dps this past Monday, we finished the encounter after about 5-6 tries (cannot remember exactly), taking up about 75min of actual raiding time. I remembered to go Furbolg! Yay! Brief post today: my GM and I are currently attempting to organize a second 10man raid for our guild, since there seems to be enough raid interest to sustain it, if a couple of us raid on both. I’m actually pretty excited about this because while it won’t be the same as DPSing on Nehmen, I’d be playing my mage Feuere for the second raid, meaning I’d get both the tanking and DPS perspectives of the new cata raids. The challenge, of course, becomes finding times that work for both without conflicting with one another. The ultimate goal of having these two raids is to provide in-guild raiding opportunities for more of our members while doing our level headed best to avoid “burning out.” To accomplish this, I believe we’re going to shorten our usual raid time of 4 1/2 hours (6:30-11pm) down to something closer to 2 1/2 hours (8:30-11pm). In the past, we’ve found that raid productivity tends to decline towards the latter hours of the raid from progression wipes and/or sitting in one place for that long, so if we can maintain a decent rate of progression with shorter hours, then why bother holding longer, tedious raids? Also, most time conflicts that members run into tend to occur earlier in the evening (“my folks wanted to have dinner,” “work got off late,” “traffic was horrible,” “I had a ridiculous amount of homework,” etc), so starting later may help avoid those. I’ll let you know if this ends up working out, and if we had to make any changes to find success with the raid structure/scheduling.